Be the life of the party at your next social event with this stunning lime and turquoise luxury fashion trendsetter. 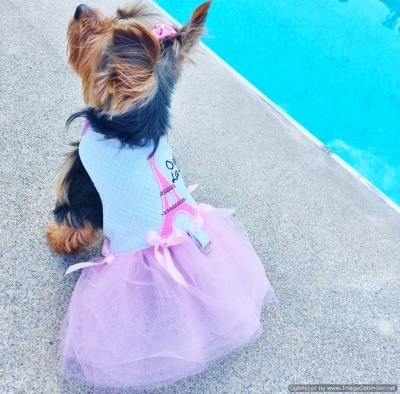 This Couture Denim Pink Tutu Dress is a favorite! Embroidered hearts and swirls accent the bodice along with hand-sewn clusters of crystals and beads. Layers and layers of tulle drape from the waistline to form the flowing, gathered skirt. The waist is accented by hand-made beaded bows that are removable. Hand placed crystals and beads accent the throat piece. D-ring and Velcro for easy and off. The beauty is always in the details……but you may request this garment without beads. Colors light wash denim, hot pink tulle, various pinks, various purples, white, blues, metallic silver. FREE SHIPPING! Soft and feminine, for her special event! Layers and layers of tulle drape from the skirt. The waist is accented by hand made rose-pearled bows. Perhaps the most striking detail is the embroidered Eiffel Tower filled with pink dots and baby pink thread on a backing of white dots. A hand picked Swarovski crystal accents the top of the Eiffel. D-ring and Velcro for easy and off. Couture For luxury pets. Colors powder pink, black, white, medium pink. 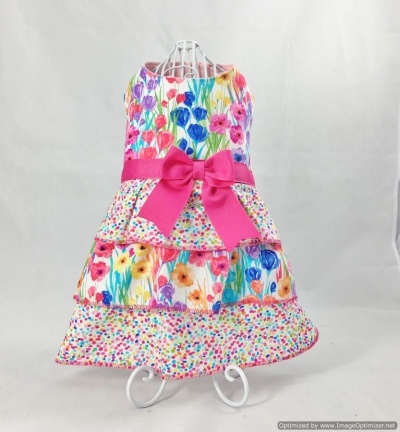 Hit “Refresh” on your girl’s wardrobe with this Rose Bleue Couture Dress. 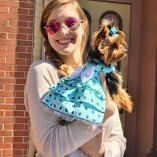 Coordinated details, synonymous with quality and creative design, make this hand-made dog dress sure to please your darling little girl for your special event, when you want every detail to be just right. Colors aqua, royal blue and white. For her special event! 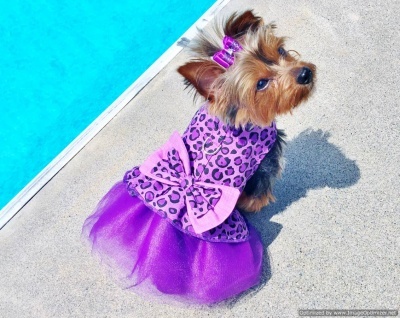 Delightfully elegant Purple Tutu Dog Dress! Couture dresses are the Hollywood style and glamour ideal for your special occasion. 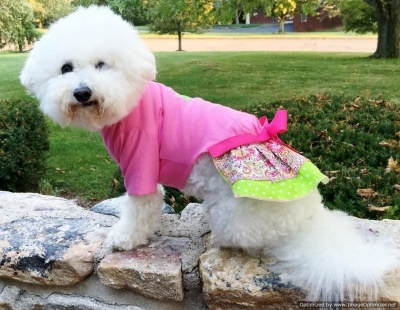 Look and feel phenomenal in a Belly & Friends Safari Couture Dress by Sassy Dog Fashions. Whether you’re in the jungle or just chillin’ in the AC, this dress is sure to please everyone who wears it. Couture details include custom hand-made biased tape hem, split peter pan collar, pockets, belt loops and a natural belt that we made in the jungle along with paired accents. D-ring and Velcro for easy and off. As usual, the beauty is in the details and so is the price. Colors neon green, neon pink, neon orange, greens, brown and natural. The beauty of couture is always in the details! 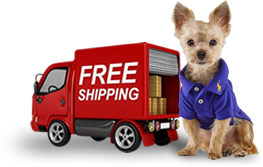 Enjoy FREE shipping! 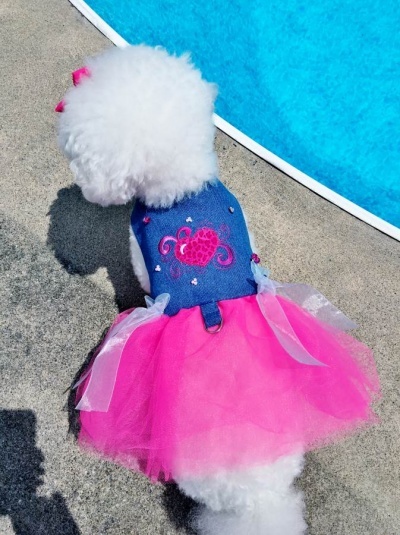 We designed this fashionable Holiday denim dog dress using the best distressing techniques. A finished border has been added to the garment on the upper portions, while tufts of fringe accent the triple layer skirt hems. A beautiful whimsical American flag accents the back and your pet’s name is FREE on the garment or you could order it blank without the name. 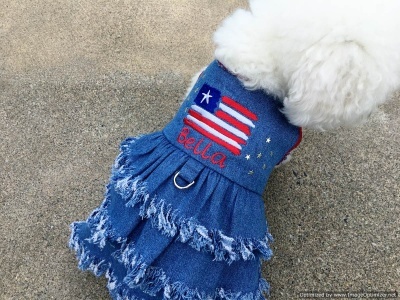 This Great Nation of The United States of America has 11 patriotic calendar days each year but feel free to show your pride any day of the year with cute dog fringe denim outfit. See our other listing for the Matching Unisex Vest! 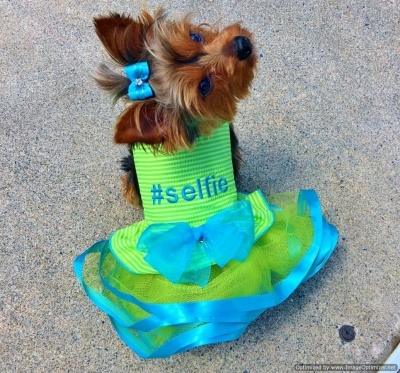 Complete your dog’s wardrobe with today’s hottest fashion trend! Light wash denim, red, white and blue. Sizes XXS through XXL. Dress her like she’s important! 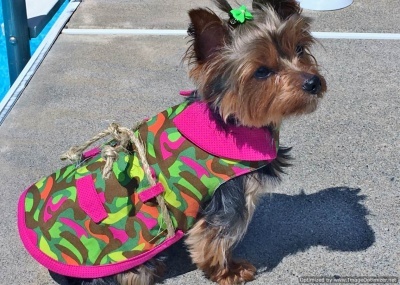 Attention to detail make this bright colored harness a very happy staple in your princess’s wardrobe. Colors deep red, bright cheery yellow, black, white. Dress her like she’s important! 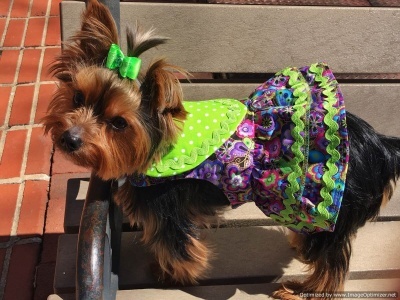 Attention to detail make this gorgeous multi-color purple fabric with lime trim harness a very happy staple in your princess’s wardrobe. Colors Purple, Lime, Lilac pink, Lavender, Aqua. 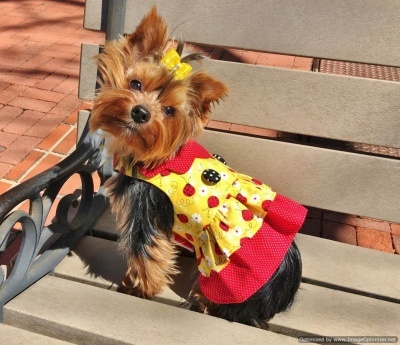 Hand-made SASSY PAW shirt dress for your little darling. Soft Parisian pink premium cotton knit bodice accented by a lime bone. French floral double ruffle accented with lime dots. Short sleeved, crew neck. Double ruffled skirt accented by a bow around the waist. Be totally SASSY this season. 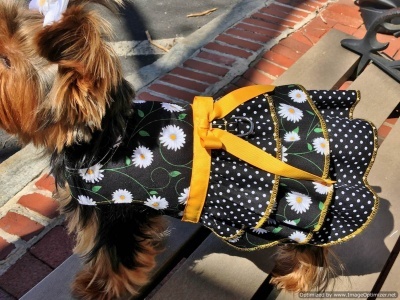 The more we adorn our dogs in luxury, the more we love them and the happier they are! Made for style and comfort.